A lot of people are curious about how horses and dance can help with leadership skills, so I thought I might share some common questions I get asked. 1. How could this workshop help me? This workshop will help you if you are in a management or leadership position (or about to be) and you want to learn more about yourself and how to lead others. It is a non-traditional, interactive, movement based workshop where you will have fun as you learn essential skills in leadership and communication. 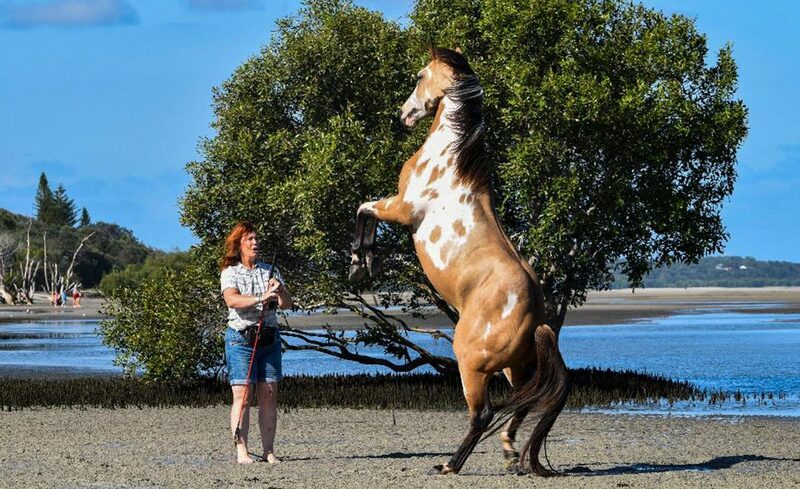 We use horses as trainers and explore dance moves as a metaphor for non-verbal communication. No need for any horse or dance experience. 2. Who are these workshops for? Those who love something different, something a little bit challenging and a little bit outside of their comfort zone. 3. Do I need to have had any horse or dance experience? Simply…NO. The workshops are designed with the assumption that no previous dance or horse experience is expected or required. 4. But I have two left feet, will I still be able to learn? YES! I hear this a lot but don’t worry you won’t be expected to perform a dance at the end of the workshop. We use partner dance concepts and moves to experience leading and following using non-verbal communication and body language. Dance is about listening, trust and confidence as is leadership, learning how to do that in the body means that it becomes ingrained and you actually feel the difference. 5. I’m scared of horses, I had a bad experience once before, are they safe? Many people have, but my two horses are very friendly and really like people (not all horses do). All work is on the ground and no riding is involved. You will only be asked to do activities within safe gentle parameters. Of course as this is an activity based workshop and involves animals, accidents may happen, however all risks have been considered and practices put in place to ensure your safety at all times. 6. I’m interested in leadership but this all sounds a bit fluffy, will I actually learn something work related? As an experienced Learning and Development Specialist and Leadership Facilitator; these workshops are based on research that I have done as part of my Doctorate in Creative Industries that I am currently completing. There is lots of evidence of the benefits of equine facilitation and leadership as well as embodied and authentic leadership methods. Everyone who has attended, no matter what their background or experience, has learnt something about themselves and leadership. So YES the activities and concepts are real, practical and completely transferable to the workplace. For more information or to book into a workshop, contact me on 0408 440 481 or email me at info@fionadspeedie.com.au.